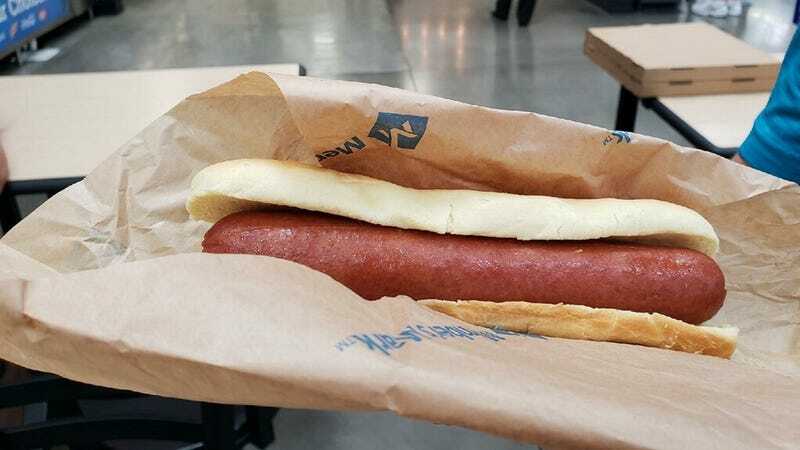 Few menu changes seem to have upset people more than the announcement that Costco was eliminating its popular Polish dog in favor of healthier food-court items. In an inspired bit of counter-programming, Costco competitor Sam’s Club has announced that it’s adding a Polish dog to its café menu at all locations starting July 23. In a press release, Sam’s tells us that the quarter-pound dogs are already at 200 Sam’s Clubs, but are now being added to all locations at the low, low price of 99 cents (rivaling Costco’s famous $1.50 hot dog and soda combo). And it points out, “You don’t have to be a Sam’s Club member to dine in the café.” Slick move, Sam’s Club.